Hello, and welcome to the blog section of my new author website! I’m looking forward to telling you all my book news as it happens, right here. I’ll also tell you about some of the children’s books I’m reading, and recommend the ones I especially love. And sometimes I’ll write about my garden. This is where I potter about when I need inspiration for a story. There’s a little wild wooded area down at the bottom. We have lots of garden birds, and sometimes deer, squirrels, hedgehogs and mice come to visit. Some of these animals have found their way into my books over the years. Because, of course, a garden is the perfect place to find inspiration for a story. There are some interesting things growing just now. 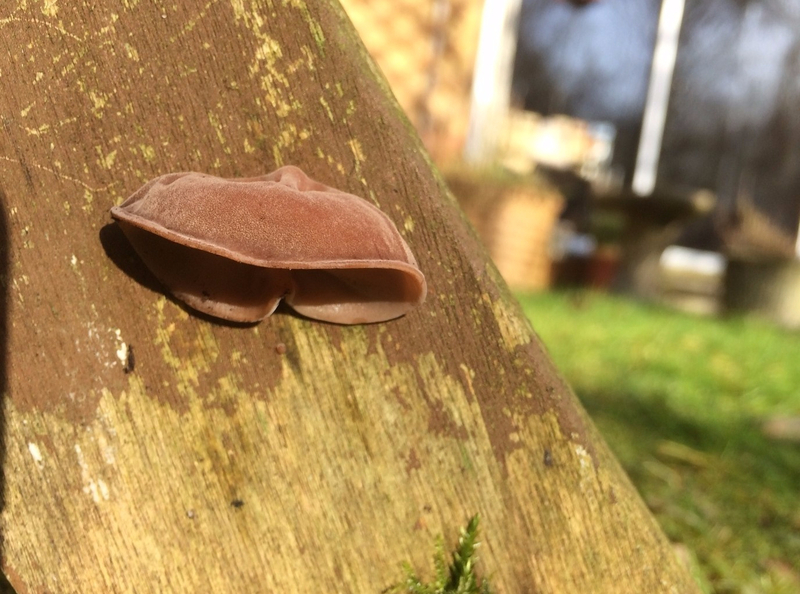 In February I noticed that the old wooden garden chair had sprouted a cute little ear. I wondered if a mouth might appear next, so the chair and I could have a chat. But, no, there’s only an ear. I think it’s something called a Jelly Ear Fungus – Auricularia. 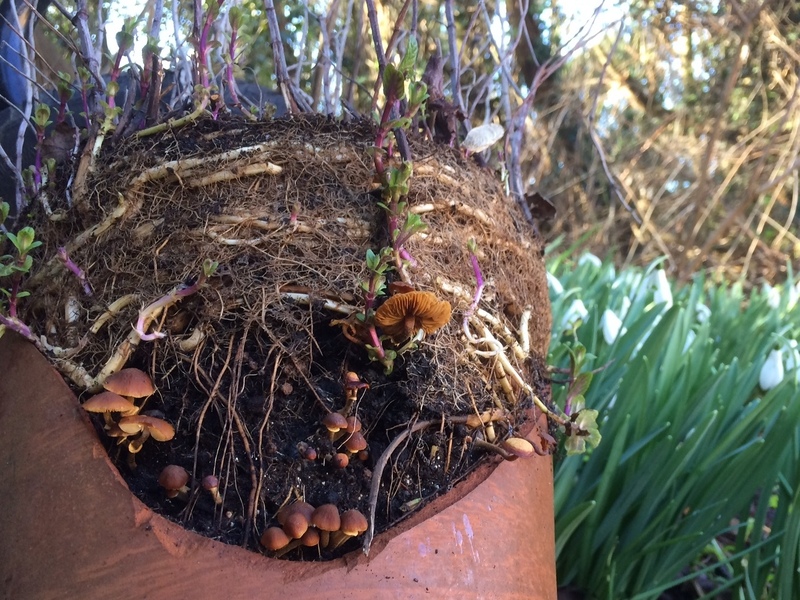 And then I found a different kind of fungus growing in a broken plant-pot choked with mint roots. (Did I mention that I like my garden to be a little bit untidy?). I love this toadstool hamlet. My children are grown up now, but when they were little we might have watched for ages, waiting to see if any fairies peeped out. Now that March is here, Spring has arrived at last. Our gardens are waking up. Have fun!